Threats and counter-threats involving big three socio-religious organisations have created turmoil in Jammu and Kashmir’s Ladakh region the parts of which are under the illegal occupation of China and Pakistan. On one side is the Ladakh Buddhist Association (LBA) which zealously guards the interests of Buddhists. On the other side the Anjuman-e-Jamiat-ul-Ulama Asna Asharya popularly known as the Islamia School (IS) and the Imam Khomeini Memorial Trust (IKMT) are united to defend their common interests. The IS was set up in 1951 and the IKMT in 1989 “to keep alive the precious principles and values of Imam Khomeini”, leader of the 1979 Iranian Revolution. A cold war has been going on between the Buddhist-majority Leh district and the Shia-dominated Kargil district ever since they were carved out of the Ladakh district in 1979. The LBA has been demanding UT status since J&K’s accession with India in1947. Leh’s formidable leader Thupstan Chhewang resigned from the Bharatiya Janata Party and the Lok Sabha on November 14 in protest against the non-fulfillment of the 2014 electoral pledge of UT for Ladakh by the central party leaders, The LBA’s agitation got huge response in the late 1980s and eventually climaxed into Leh securing a self-governing elected local body called the Ladakh Autonomous Hill Development Council (LAHDC) in 1995. Kargil district too was offered an identical dispensation but its leaders were skeptical and relented only in 2003 after persuasion by then J&K Chief Minister Mufti Mohammad Sayeed. The Shia majority in Kargil does not share Leh’s enthusiasm for a separate UT status. The two districts together elect a member to the Lok Sabha and the voting pattern over the decades reveals an acute polarisation between Buddhists and Shias. The two districts have impeccable patriotic credentials repeatedly proving themselves during the Chinese and Pakistani invasions the most recently under international glare in 1999 when Pakistan tried to cross the Line of Control (LoC) in the Kargil sector. 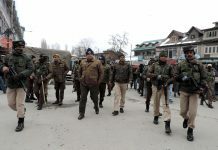 Although under the administrative control of the Kashmir Division they have not allowed the influence of militant secessionist elements of the Valley to creep into their region. Their participation in democratic exercises is spontaneous and overwhelming. They share common history and have striking ethnic and linguistic affinity. 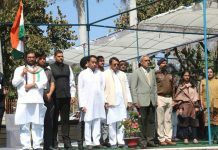 With the passage of time, however, their political aspirations have risen and run into conflict with each other. On the whole the Ladakh region at an altitude of about 10000 feet and more across the mighty Himalayas with its idyllic beauty and grand Buddhist monasteries including in Zanskar in Kargil district draws parallel with Shangri-la, the fictional utopian lamasery of James Hilton’s 1933 novel “Lost Horizon” set in the Tibetan plateau with which Leh district especially has geographical and historical proximity. The LBA, Islamia School and the IKMT don’t directly participate in elections but they wield considerable influence as a result of which their support is much sought for. 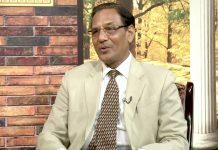 It is possibly the first time that the LBA has publicly expressed its urge to mobilise support in the Buddhist-dominated areas of Kargil district in favour of UT, It is again a rarity that a LBA leader speaks against the Zojila Tunnel the construction of which has been demanded by almost all leaders of the region and the foundation-stone of which was laid by Prime Minister Narendra Modi on May 19 this year. Such utterances have annoyed leaders of Kargil to no end. The proposed all-weather 14.2-km long Zojila Tunnel, India’s longest, to overcome the challenge posed by the treacherous high-altitude snow-clad Zojila Pass, which is per force shut for traffic during winter, is absolutely necessary for the progress of the region. 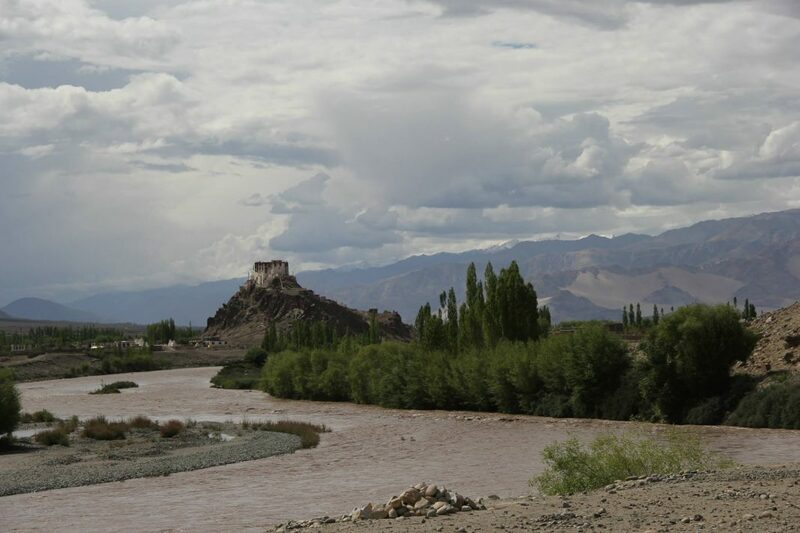 It would connect Leh with Srinagar via Kargil on the picturesque National Highway 1. Sheikh Nazir Mehdi, president of Islamia School, has warned the LBA that the people of Kargil would block the Leh-bound traffic once it resumes through the Zojila Pass during summer in 2019 if it does not stop its propaganda against the Tunnel. He has asked leaders of the LBA to “hold their tongue” and not to dub them political as “we have divorced politics.” Sheikh Sadiq Rajaie, chairman of the IKMT, has blamed the LBA chief for playing “communal card” and being “desperate to destabilise the peaceful and age-old communal harmony of Ladakh region once again in view of the coming Parliamentary election 2019.” He asked Thinles to refrain from exploiting the “sentiments of the minorities of Kargil for political gains.” Sajjad Hussain Kargili, a journalist, is of the view that the LBA should desist from interfering in the internal affairs of Kargil and should not be “foolish” enough to underestimate the gradual awakening of the people of the district. The last word has not yet been heard in this verbal duel.